A Peel Police officer is in a trauma unit after being struck by a police cruiser in Streetsville Sunday. 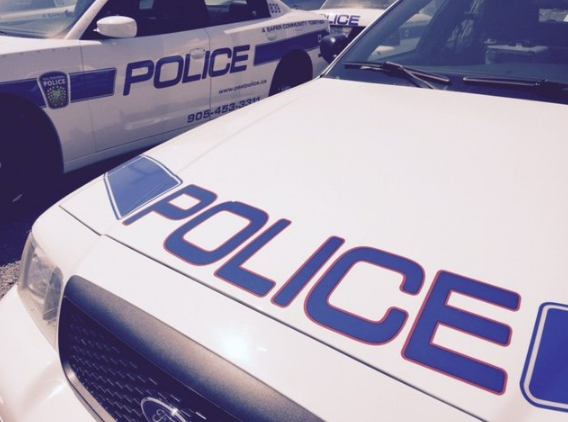 The incident took place at 9:48 a.m. along Mississauga Rd. between Erin Centre Blvd. and Eglinton Ave. W.
An officer was working a paid duty assignment at Mississauga Rd. and Barbertown Rd., according to a statement released by the Special Investigations Unit (SIU) Sunday evening. That’s around the same time police received a call about a break and enter. Cruisers responding to the call were traveling north on Mississauga Rd. when one vehicle struck the officer, who was directing traffic. He was rushed to Sunnybrook where he remains with serious injuries. Witnesses are asked to phone 1-800-787-8529. The SIU is an arm’s length agency investigating reports involving police where there has been death, serious injury or allegations of sexual assault. SIU now investigating a Mississauga collision involving a Peel Police Cruiser and an officer that was struck. More details to follow.